I always listen very carefully to what the Counsel General, Theodore Huckle, has to say. He is by all accounts very close to Carwyn Jones, is at the heart of internal Welsh Government discussions about the evolving Welsh constitutional settlement, and as a law officer, has a refreshingly direct and ‘unspun’ approach to the constitutional issues of the day. He never says anything that goes beyond his brief or the scope of his office, but neither does he evade questions or seek to artificially limit the information he provides to Assembly Members or the public on matters that are within his remit. Mr Huckle gave a speech to the Law Society Wales Summer Reception last Wednesday. The majority of the speech focused on how the rule of law should be enhanced by ensuring better access to it, and in particular, the duty that ambition places on Welsh lawmakers for clarity, certainty and wide availability of legislation. His stated support for consolidation statutes, codification in general and initiatives such as the one-stop legal commentary ‘Cyfraith Cymru Law Wales’, are to be welcomed by those of us who believe that a separate Welsh legal jurisdiction and justice system are not only inevitable in the medium term but highly desirable in the short. But this support is not new, and he has spoken about it many times in the past. This short passage suggests two very important elements of current thinking in the Welsh Government. 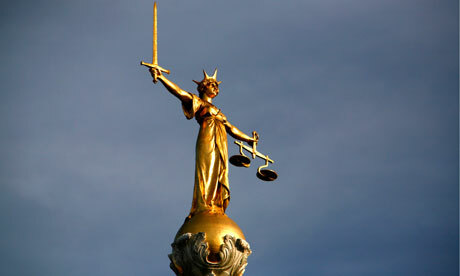 Firstly, that they have not ruled out that Whitehall may still react positively to Silk II and the devolution of policing and the justice system (“we wait to see what will come of that”), and secondly, that the Welsh Government has now adopted a more a publically assertive position in support of judicial devolution (“our aspiration for the devolution of justice” – my italics). The whole speech is available from the Welsh Government website here in English and here in Welsh.